With New Year’s eve just around the corner, everyone is looking for the perfect outfit for the evening, and while most of us think it’s best to dress ourselves in sequins, give yourself another reason to shine – with your eyes. 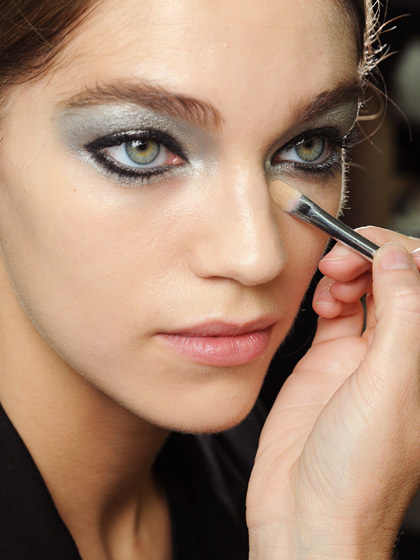 This Holiday season, the biggest makeup trend is going metallic. 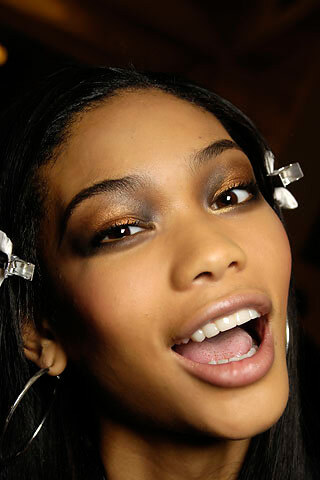 Silver, gold and platinums were seen all over the runways this season, and while you may not want to go as bold as the models pictured below, let Khloe Kardashian’s more subtle metallic trend inspire you. Happy New Year’s, don’t leave home without a little sparkle!